Bryce and Ashley Timberline’s friend Jeff is dying, and his collection of autographed sports memorabilia has disappeared. While Bryce and Jeff attempt a 200-mile bike hike for cancer research, Ashley does a little research of her own. Can they track down the missing memorabilia before it’s too late? Bryce and Ashley Timberline are normal 13-year-old twins, except for one thing—they discover action-packed mystery wherever they go. 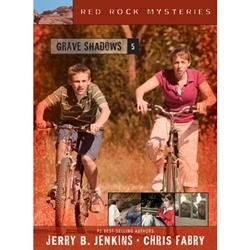 Wanting to get to the bottom of any mystery, these twins find themselves on a nonstop search for truth.